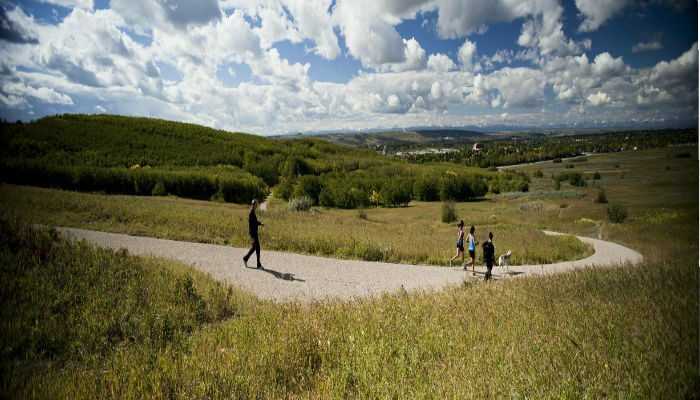 Nose Hill Park, about 5 miles north of downtown and close to the airport, is great if you’re looking for a hill run! The paths are primarily dirt single and double track but the park is always adding to their trail system. 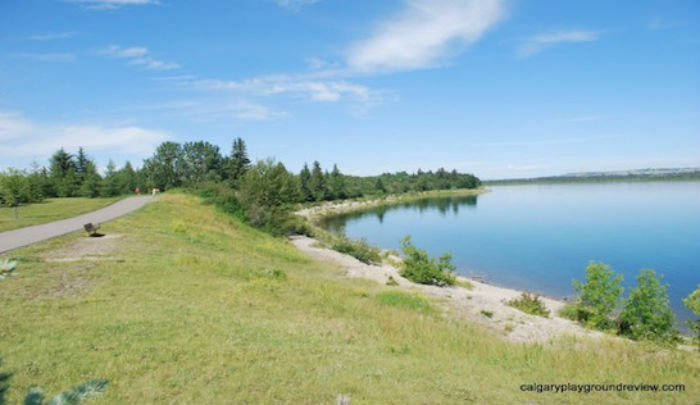 Nose Hill Park contains one of the most significant examples of the grassland ecosystem left on the Canadian prairies. 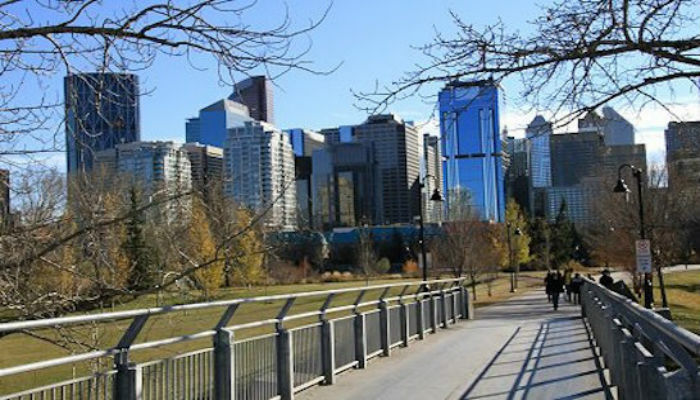 From the plateau, there are vistas including the Rocky Mountains, Bow River Valley and the vast plains to the east. Several parking lots N along 14 St and one at John Laurie and Brisbois Drive and one at Shaganappi Trail & Edgemont Boulevard. Nose Hill is also home to Parkrun, a free group 5k held every Saturday morning. You can see the course map and learn more here. Several parking lots N along 14 St and one at John Laurie and Brisbois Drive and one at Shaganappi Trail & Edgemont Boulevard.